Ileana Cabra’s older brothers are Eduardo Cabra, known as Visitante, and Rene Pérez Joglar, known as Residente, of Calle 13, the perpetually innovative Puerto Rican hip-hop duo, and she has sung and rapped with them since her teens. Now, calling herself iLe, her solo debut album, “iLevitable,” ventures in an entirely different direction: a knowingly retro survey of Latin music’s past, full of romance and a longing that can turn despondent. She sings richly orchestrated boleros, delicate ballads and percussive boogaloo and mambo, without a hint of either irony or naïveté. 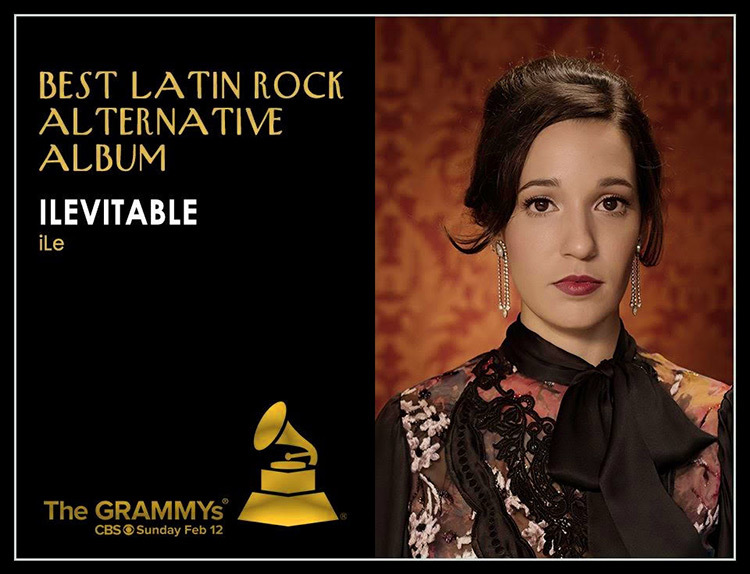 The easy way to make an album like “iLevitable” would be to revive old Latin hits. Instead, iLe wrote her own material, often with members of her family or Calle 13. The exceptions are two songs by her grandmother, Flor Amelia de Gracia. One is “Dolor,” a luxuriantly mournful bolero from 1955; she shares it with the revered Puerto Rican salsa singer Cheo Feliciano, in one of his last recordings before his death in 2014. Her voice molds itself to each song, always sounding natural rather than stylized. She rides a Latin big band with assertive bite in “Te Quiero con Bugalú” (“I Want You With Boogaloo”) and “Rescatarme” (“To Rescue Me”); she’s openhearted and tearful in pop ballads including “Maldito Sea el Amor” (“Cursed Be the Love”) and “Caníbal” (“Cannibal”); she’s breathy and innocent in the delicate acoustic “Triángulo” (“Triangle”) and “Que Mal Que Estoy” (“How Bad I Feel”). Her vocal finesse and the production hark back to vintage Latin pop. An elegantly melancholy song like “Danza Para No Llorar” (“A Dance for Not Crying”), accompanied only by piano, bass and percussion, could have been released decades ago. But many of the lyrics insist that iLe’s songs aren’t period pieces. She doesn’t just sing about love and desire; songs like “Canibál” and “Triángulo” examine deep, almost self-immolating depression. The imagery often turns surreal; in “Te Quiero con Bugalú,” as she warns herself against giving in to a dance-floor infatuation, she sings, “you touch me all over in arpeggios.” And iLe isn’t pretending to live in the past; “Extraña de Querer” (“Stranger to Love”), about an odd flirtation, starts with a verse about being photo-bombed. Yet the songs flaunt their gracefulness, not their peculiarities. From Latin pop’s history, iLe has absorbed the trickiest lesson of all: the subtlety that hides magnificent craftsmanship behind immediate emotion.